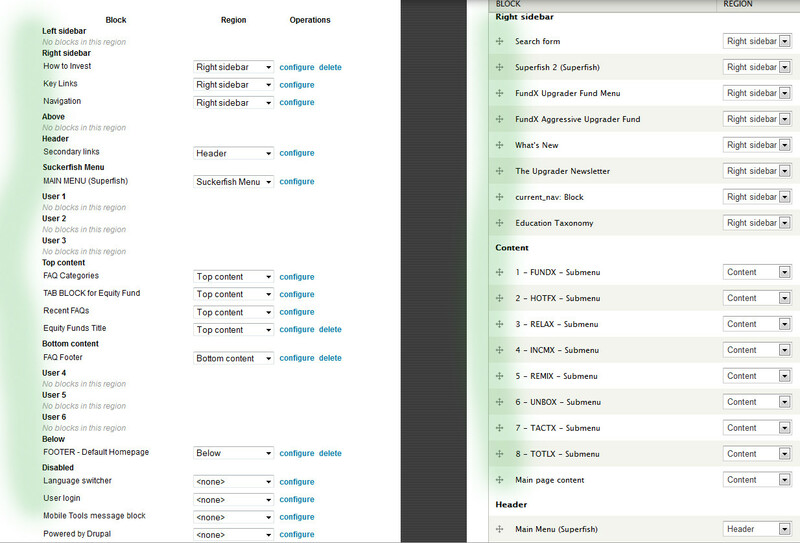 In one of my Drupal installations I suddenly noticed I can no longer drag and sort the order of my blocks. The image shows on the left the admin with now drag handles and a screenshot of another admin with the handles. It's definitely js related, most likely a conflict/error from something in the theme or a contributed module. If you switch to a core theme, are the blocks draggable? If not, it's probably a module (or a script coming from somewhere else, like a block). How have multiple instances of a Custom Block? How to get Ajax to load first? How to create a custom design of an existing view block?